It’s that time of year not only to look back on personal reflections, as I shared in my most recent post, but also to round up your most favorite posts from the year. 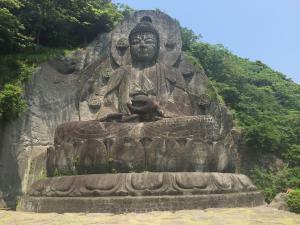 Carved stone “daibutsu”, or giant buddha, outside of Tokyo. Looking at the data from your most viewed posts in 2017, it’s interesting to me that many are ones published back in 2016 or even 2015 (see below for a few of the top 5 posts from earlier years). general reflections from learning experiences such as conferences and site visits. As I continue to write in 2018, I want to know what topics are of most interest to YOU. As noted in my reflections on 2017, I will have several trips back to Japan in 2018, time with Mr. Yoshino, and other reflections experiences from my coaching and consulting practice, being part of conferences, and interviewing authors. Here are your most read posts published in 2017. Data range is from January 1 – December 27, 2017 from Google Analytics. Which was your favorite? This post was a fun experience when I was back in Japan in May. I also wrote about some of my other experiences – including a daruma pilgrimage, spending time with Mr. Yoshino, and visiting the “5S capital” of the world. As noted in the intro, some of your most viewed posts in 2017 were ones published in previous years. I’ve included the top 5 most viewed posts published in earlier years below. Many of the other highly viewed posts were ones about insights that I learned from my friend and mentor, Mr. Isao Yoshino – a retired 40-year Toyota executive and John Shook’s first manager at Toyota. You can CLICK HERE to get a PDF of the top 10 Toyota leadership lessons that Mr. Yoshino shared me in 2015 & 2016. I will be working on the next installment of 10 more leadership lessons from Mr. Yoshino from 2017 in the new year. This was the #1 post from 2016. This was the #2 most popular post from 2016. This was the #6 most popular post from 2016. 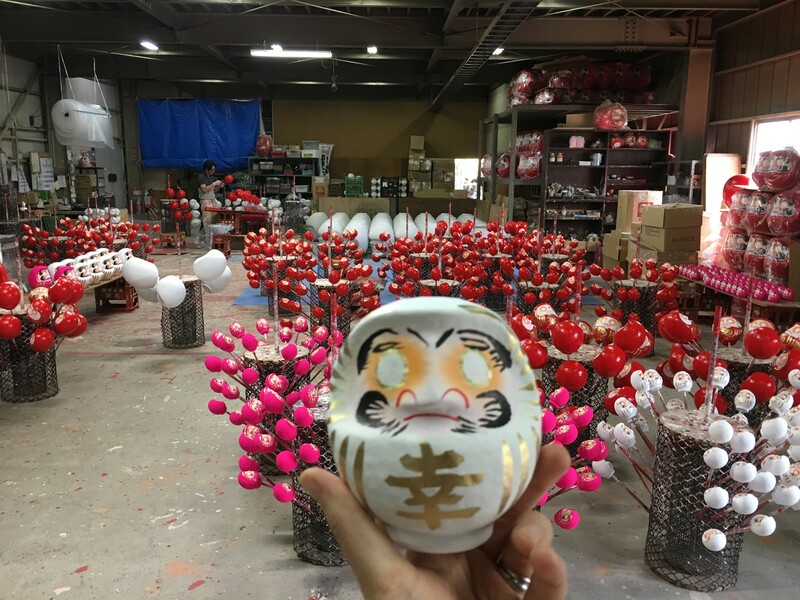 Painting my own daruma at the daruma factory in Takasaki, Japan. It’s harder than it looks! Thank you for reading and contributing to my blog! It’s been exciting to see my readership increase steadily over the past three years and I am appreciative of the connections around the world that writing this blog has helped facilitate. It’s hard to believe that my family moved to Japan three years ago, and that we have been living back in the U.S. now for about as long as we were in Tokyo (18 months in both cases). I started this blog as a way to connect to a broader community and I’m so appreciative for the connections that I have developed internationally through my experiences and through sharing ideas with you all. Now that we have been back in the United States for nearly as long as we were living in Japan, I find that writing continues to be an important part of my life. Writing posts is my time for hansei (reflection). Best wishes for health, happiness and learning in 2018!